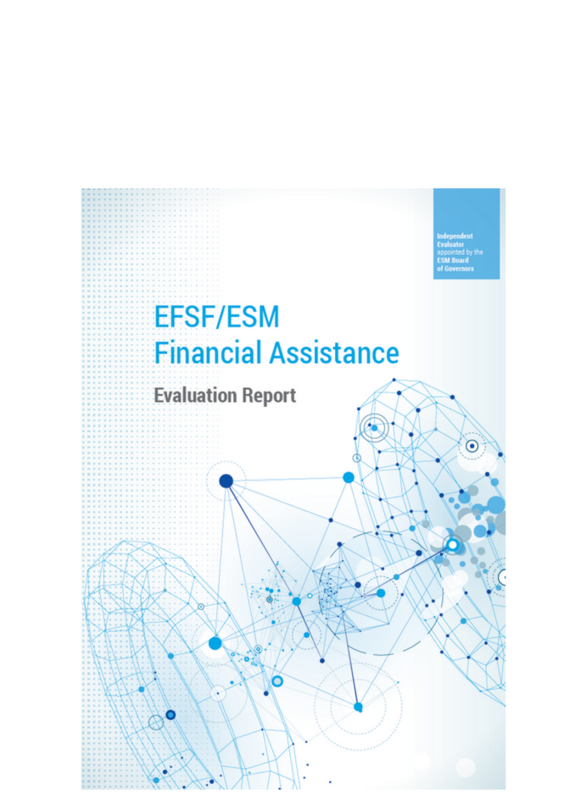 The Evaluation Report evaluates the relevance, effectiveness, and efficiency of EFSF and ESM financial assistance in safeguarding the financial stability of the euro area and its members. It primarily focuses on aspects that were not covered in detail by other evaluations, such as financing and the ESM programme governance framework. It is the first evaluation that covers all five euro area programme countries: Ireland, Portugal, Spain, Cyprus, and the second Greek programme up to its initial expiry in December 2014. These assistance pro- grammes, totalling almost €300 billion, are among the largest in modern history. The evaluation does not assess the political aspects of the Eurogroup negotiations or individual programme policies that were the specific responsibility of other institutions.